Overpronation is a condition usually caused by low arches or flat feet. Due to the lack of arch support, your stride can roll inwards, which causes an uneven gait. This can put strain on your ankles, knees and back, which can lead to chronic pain and heel spurs. Use the links above to jump ahead. We’ll also cover the causes of overpronation and what effects it may have in the future. 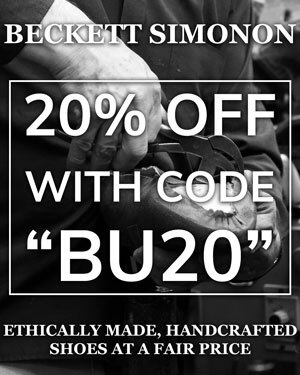 In a hurry and just want to get the best shoes right away? Use our Quick Buy Guide Below to head straight to the retailers! That said, if you have the time, you can scroll down to learn more about each shoe. 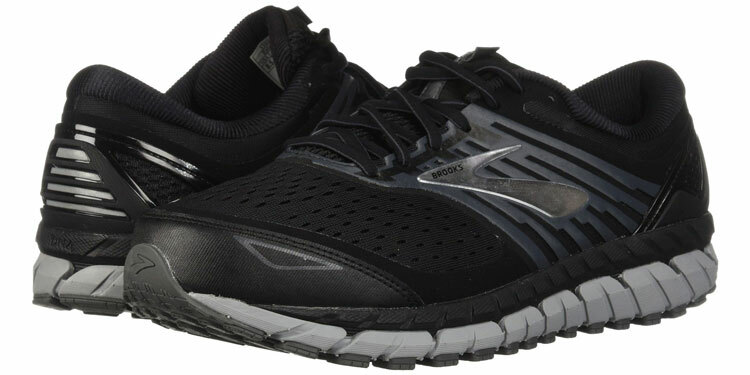 What Are The Best Men’s Shoes For Overpronation? Although regular loafers tend to have thin soles that only render overpronation more severe, Vionic is an American brand that makes orthortic shoes that cater to mild disorders. Thanks to its EVA footbed, the heel is stably secured and the arches are provided the necessary support for comfort and to even your stride. Bit loafers are a casual classic that can be comfortably worn with a great number of styles. Whether you prefer to wear them with jeans, chinos or even corduroy, they’ll look fantastic. Furthermore, they are perfect for business casual wear, so should be fine for most office spaces. Despite being available also in black and grey, we prefer the tan brown leather. The black and grey suede are a touch too dressy whilst the brown will look great with most business casual and casual styles. Like Vionic, Rockport is well-known for making orthotic shoes that don’t look too clinic. Their approach is quite similar and these shoes also feature an EVA footbed that offers both stability and cushioning for a comfortable and corrected gait. If your office requires a more business professional dress code, these brogues are ideal. Thanks to the detailing, they’re more eye-catching than regular Oxfords and would look perfect in either a regular suit or tweeds. 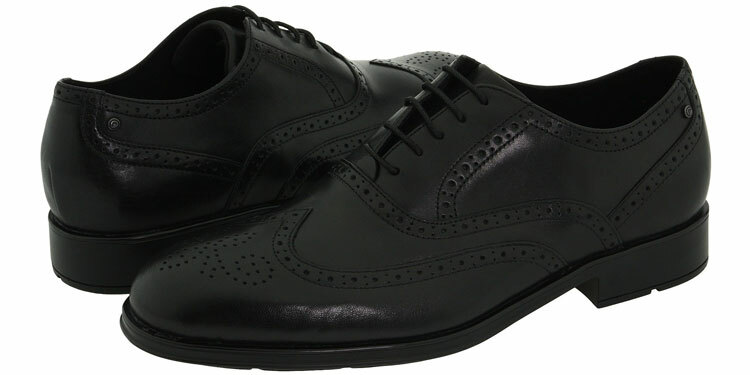 Currently, these brogues are only available in black. Although brogues are better known for being made from brown leather, they’re still very stylish and perfectly acceptable. If your case of overpronation is more severe, you’ll need shoes that offer more motion control to correct your walking stride. Thanks to an external heel counter and high-level cushioning, you can expect the best performance possible. Whilst they’re also athletic shoes, the Brooks Beast 18 are ideal for people working in professional environments that allow for sneakers. Whether in a medical profession or walking many miles, these shoes will keep your feet in good shape and ensure you stay comfortable. Given that they’re available in black, this is an ideal choice for professional wear. However, you can also opt for a grey colour, which has colourful accents for a little pop. As a casual boot solution for overpronation, we turned again to Vionic. Their chukka boots are exceptional and indistinguishable from regular chukkas. The EVA footbed is designed by podiatrists and offers stability, comfort and adequate cushioning for your needs. 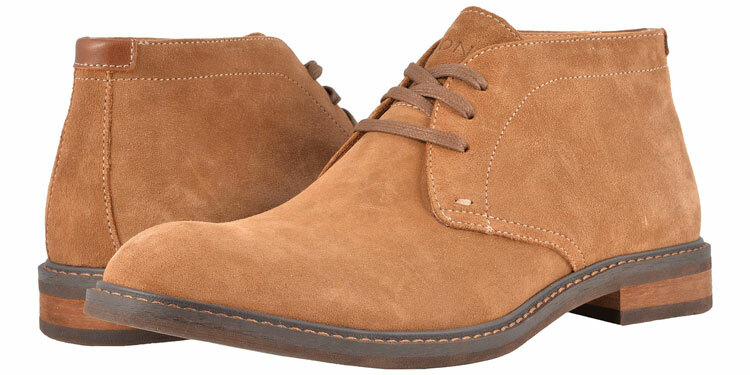 Chukka boots are ideal footwear for either casual or business casual wear. Whether you choose to sport these with jeans or chinos, they’ll look great. You can even throw on a sport jacket in the milder months for a more professional look. Available in either tan or black, which are both made from water-resistant suede. We have a preference for the tan as these are much easier to wear in casual scenarios whilst the black can be a touch too dressy. 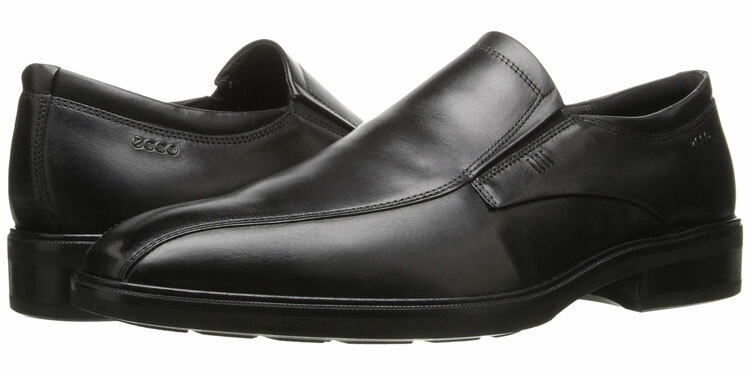 Ecco are unbeatable when you’re looking for comfortable yet professional shoes. Whilst quite understated, they may suit your needs quite nicely. Furthermore, the direct-injected PU outsole ensures both comfort and stability throughout the working day. As mentioned above, these particular loafers are quite understated and subtle. Whilst this may be off-putting for some, they’re perfect for others who want something quite simple for their professional needs. 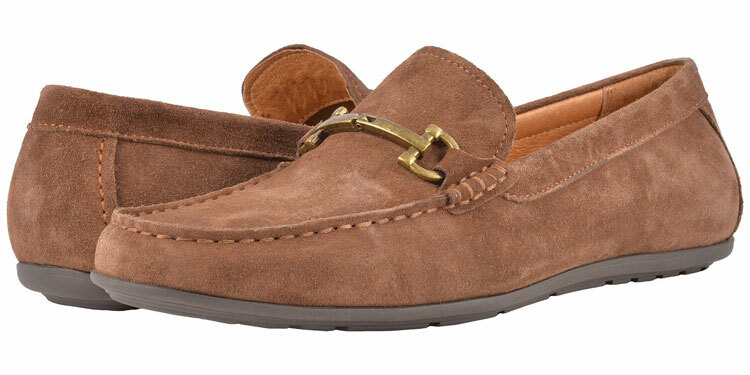 You can pick these loafers in either black or walnut brown. Although the black leather is best for day-to-day professional needs, the brown has a casual pop that would be great as a more laid-back option. There are lots of running shoes out there that are quite suitable for people who tend to overpronate. However, our favourite choice comes from New Balance thanks to their ABZORB Crash Pad, which offers improved stability in the heel. You can also benefit from the motion control as well as high-energising cushioning. Being pedigree sportswear shoes, these are best reserved for athletics. Given that there aren’t any black or white options, they’d be difficult to wear professionally too. However, they’re perfect for running or other sporting activities. 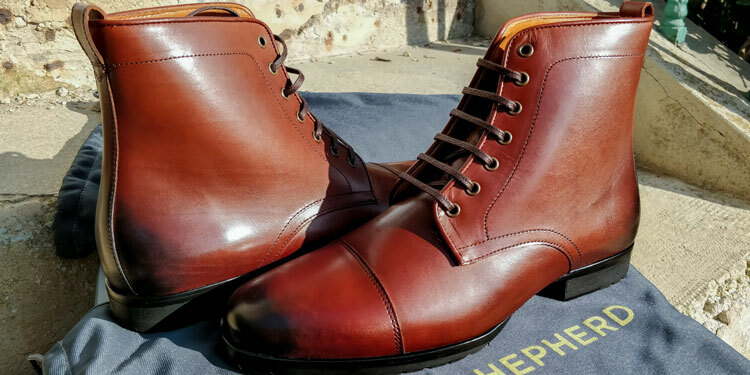 Featuring an EVA heel and memory foam footbed, Wolf & Shepherd’s Breakaway boots are cosy dress boots indeed! 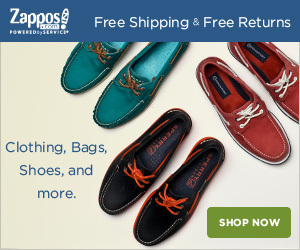 They’re lightweight, which reduces stress on the feet while the memory foam footbed offers excellent arch support. While these boots are great for business casual attire, they can also be worn with a suit in more professional settings. However, the best dress code generally depends on the colour. While we prefer the reddish Cognac colour for versatile wear, they’re available in black Onyx for formal settings and a Honey tan for casual use. Just because you overpronate, you can still enjoy long walks and the great outdoors. However, bruised arches caused by overpronation can cut a long walk short. With the in-built ESS shank and a dual-density compression-moulded EVA midsole you’ll experience superior stability and support as well as prolonged comfort. As they’re walking shoes, it’s easy to presume that you’ll be wearing these when hiking. As such, you’ll likely be dressing according to the weather rather than with style in mind. There are plenty of colours to choose from such as anthracite and gold, brown, black as well as an olive green suede leather. We’re fond of both the olive green and anthracite. A renowned and favourite brand of many people, Birkenstock offer a particular style of footwear that’s known for its comfort. They’re also for overpronation as their contoured footbeds mould to your foot shape. This then provides a custom fit as well as a cushion that ensures a comfortable shoe. 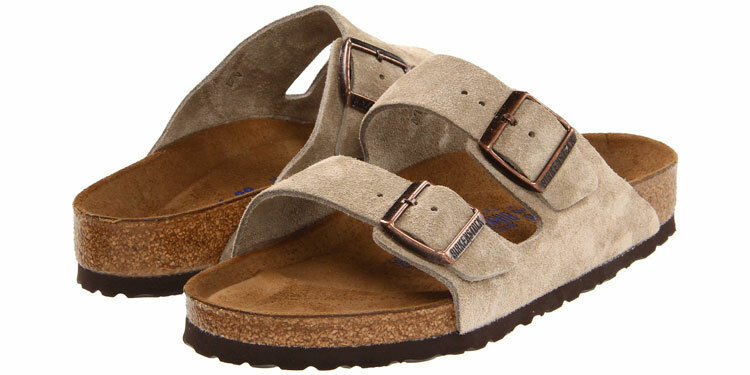 Best reserved for casual wear at home or when out and about, Birkenstocks are ideal for the summer. Throw on a pair of shorts and head out to the beach. Otherwise, they’re an excellent choice for lounging around the patio. We’re quite fond of the tan suede straps. However, they’re also available in black and grey too. These might be harder to wear, however, as they’re quite dressy colours but this comes down to personal preference. Flip-flops may sound like a painful option for those who overpronate. 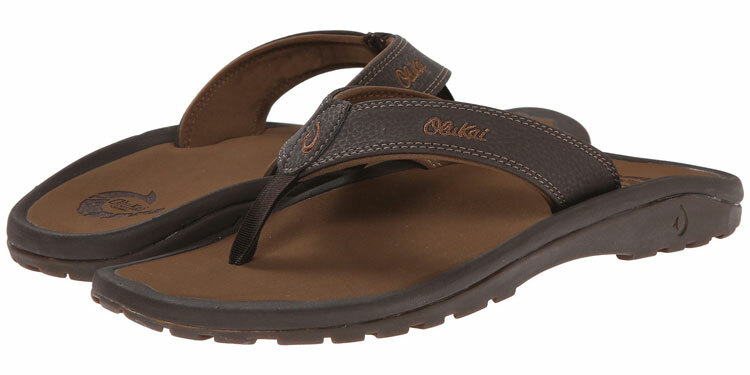 However, OluKai are famed for creating premium footwear for an otherwise cheap style of shoe. With the EVA footbed and compression-moulded insole, they offer both comfort and stability. With options like olive green, blue or charcoal, there are several options to choose. We’re quite fond of the Java and Ray, which have a lovely natural look that would age well when chafing against the sand. What Are The Causes Of Overpronation? Affecting around one third of adults in the USA, overpronation is a common problem caused by collapsed arches. A source of extreme discomfort, the weight-bearing arches of the feet flatten and apply strain onto other parts of the foot. Whilst fallen arches are often referred to as flat feet, overpronation is often a resulting symptom. However, flat feet may be perfectly benign and not bring about any symptoms at all. Nevertheless, they can lead to overpronation and other uncomfortable disorders. Although some people can be born with flat feet or develop them at an early age, they can happen well into adulthood. The causes themselves are many and can include obesity, pregnancy or prologned walking and standing on hard surfaces. In short, it tends to happen when the feet undergo excessive load-bearing strain. As the arches fall, the feet turn inwards to compensate. This becomes especially apparent when walking as the ankles roll inwards, which is overpronation itself. This position puts additional strain on the ankles, knees, hips and spine. Therefore, it can cause other complications in the future. Furthermore, overpronation may bring out other disorders such as heel spurs, bunions, Metatarsalgia as well as Plantar Fasciitis. Fortunately, overpronation rarely requires extensive or surgical treatment. In fact, most treatments are quite conservative and can yield impressive results. The most common approach is to carefully choose shoes that adjust and correct your stride. 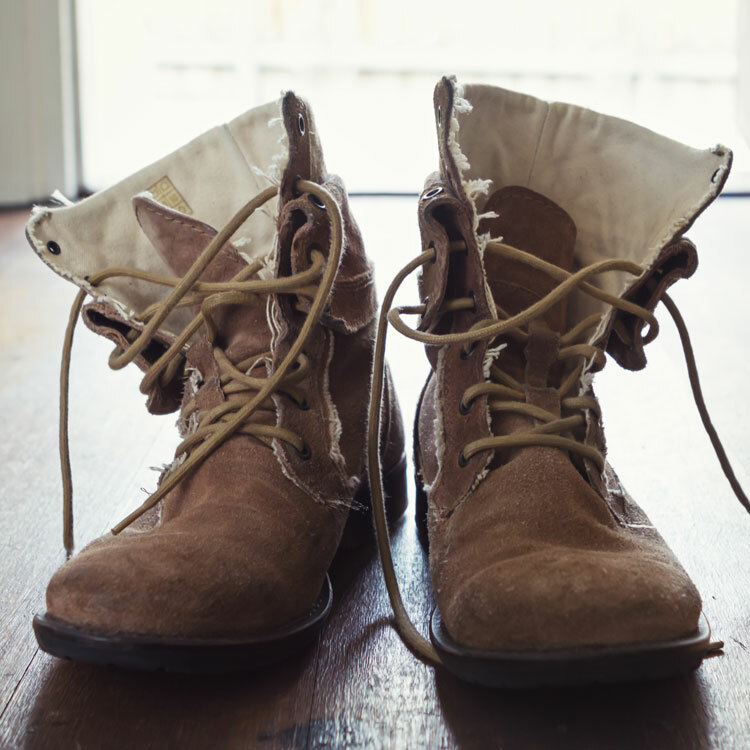 Rather than your feet rolling inwards, they secure your heels inside the shoe so that the foot lands correctly. Motion Control: As mentioned above, the heel is braced inside the shoe and the soles ensure that you walk correctly. Stability: Stable shoes ensure that you don’t roll your feet with broad soles that encourage the feet to walk straight. Arch Support: The footbed features extra cushion and depth so that the arches are properly protected. The cushion only applies the right amount of support rather than applying too little or too much pressure so that the foot strays in the right position. In addition to wearing shoes that correctly fit the shape of your foot, you can undertake some exercises that help improve the condition of the arches. In most cases, the exercises can be performed with the help of a therapist. However, there are some that you can do at home. Rolling Your Hips: In a standing position with the feet apart, move your hips in a circular motion to adjust the weight on your feet. Touching Your Toes: When sitting with your feet in front of your, stretch your legs by touch your toes. Plié: The most basic ballet move, point your feet out with your heels touching and keep them on the floor, then bend your knees. The exercises above will help improve muscle tone and the ligaments affected by overpronation. Such exercises and stretching are extremely beneficial and may improve your condition. If you’re prone to flat feet or lead a lifestyle that could bring it on, the best course of action is always prevention by wearing the right shoes that fit properly. Reviewed by François L., on 19th November . "My stride is even again. I was wearing through the inside of my heels so quickly. Now I walk straight again!"